When someone brands their products as local, organic and farm-fresh, I do not question them. This arises out of my colossal ignorance of what questions to ask. I know it’s all ‘good for you’ and chemical-free, but that’s the end of a happy veggie story which ends with a meal that I can Instagram to announce my support of the LOaF movement (Local, Organic and Farm-fresh. 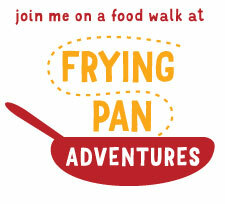 This is my precious contribution to the universe of gimmicky acronyms). It doesn’t take much for me to jump on the popular bandwagon, stuff my recyclable grocery bags silly and feel almighty because I made a healthier, more environmentally-sound choice. In a weak moment of doubt, I might ask if chemicals have been used on the plant or if the hens are free-range, but you could offer me a bunch of rotten lies and I wouldn’t know the difference. Cut me some slack, I grew up in this desert city. Visiting a farm is a vague childhood memory, done once, maybe twice while I was on my grandfather’s land in India. Not twice in the year, but twice in my lifetime. Strawberries are year-round in the supermarket, and cherry tomatoes are those juicy red globes that stare back at me through their perforated plastic cradles. If you tell me that this fair purple-skinned eggplant is locally grown and that pile of shiny green capsicums is organic, I won’t bat an eyelid. As for striped Chioggia beetroot or lemon cucumbers, I wouldn’t ask questions at all because those didn’t exist in my life until last week. Ignorant I am, but I am not very different from many who have grown up in this desert city. The ogre of my naivety yawned in my face with its obnoxious ignorant breath when I visited the Greenheart Organic farm last week, only to realize that I'd been buying local, organic veggies for the entire season without truly understanding what that implied. My broad vague notions of local and organic were challenged when I met the outrageously knowledgeable Elena Kinane, a Bavarian-born history major with a green thumb so large that it can convert desert into field. Literally. Elena is the lady behind the former Nazwa farms which was unexpectedly shut down by its local owner in 2010, much to the shock and disappointment of her customers. In the words of Sally Prosser, one of my favourite food bloggers and a loyal customer of Nazwa at the time: This is a black day indeed…[…]So it’s back to buying a patchy and often expensive array of imported organic fruit and veg. Despite the setbacks, Elena found her way to the end of that dark tunnel and is now the champion of Greenheart Organic Farms along with her partner and farm engineer Azam Mubarak. I won’t rehash the background and literature already available online (you can find my research links below this post), but what I will do is share the biggest lesson I learned: If you butter up to the LOaF movement, then your first order of business is to learn what questions to ask about the produce that you are buying. And to fully understand the answers given to your questions, you must attempt to visit a local organic farm. 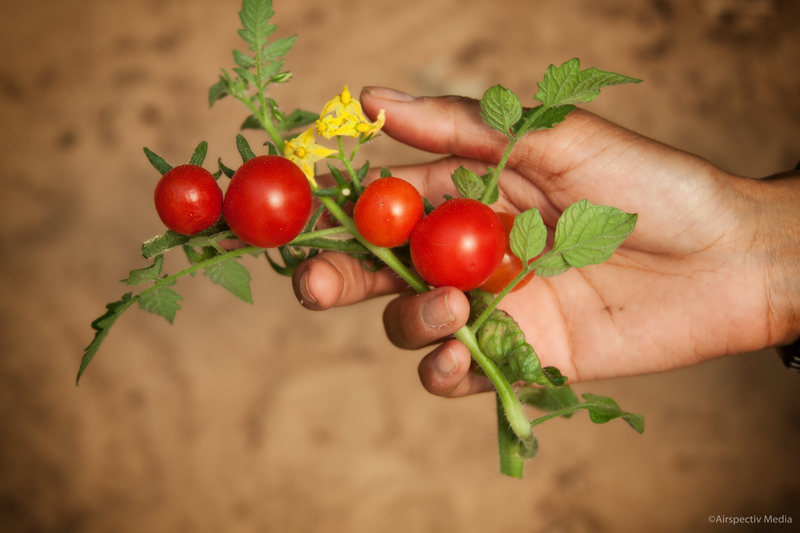 Spend time with a farmer, comb through the furry rows of fennel, pluck a bunch of ripe lipstick strawberries, inhale the enchanting citrus perfume of a beefsteak tomato plant, turn your phone off and immerse yourself in an experience that is critical to fully appreciating the effort it takes to grow organic produce in the middle of the desert. The baby portion of blue azure kohlrabi tossed with za’atar, toasted pine nuts, and whipped yoghurt-feta dressing that I had for lunch a day after the farm visit was shockingly filling. I am confident that my mind tricked my body into believing it had eaten more than was actually in the bowl. 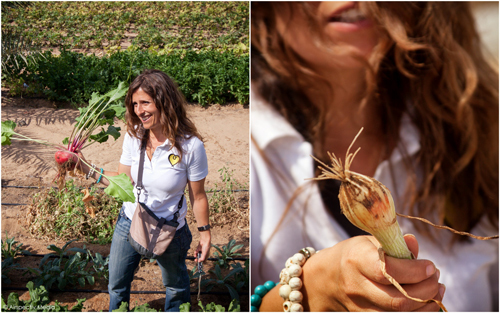 Being on the farm, hearing Elena praise the kohlrabi as rich in antioxidants and nutrients, and watching Azam cut out the vibrant purple bulbs with leaves sprouting out of their eccentric Medusa-like heads – all of this made the vegetable so much more than just a vegetable. 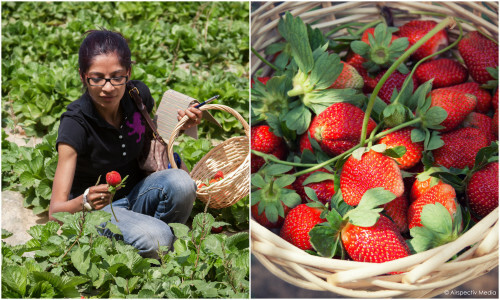 When you fully grasp the intense level of care and passion that a local organic farm invests in their produce, you are compelled to think about what you eat and where it came from. Blindly scarfing down your veggies is simply not an option. There is an argument to be made about sitting at your computer with a cup of organic fair-trade coffee and researching LOaF online. The internet is awash with valuable information, strong opinion pieces and not surprisingly, heavy piles of bull manure. While the intention to research online is noble, the concept of local, organic and farm-fresh will hide under the preservative-sprayed leaves of organic cabbage in your bag until you actually see, smell, touch and taste on a farm. 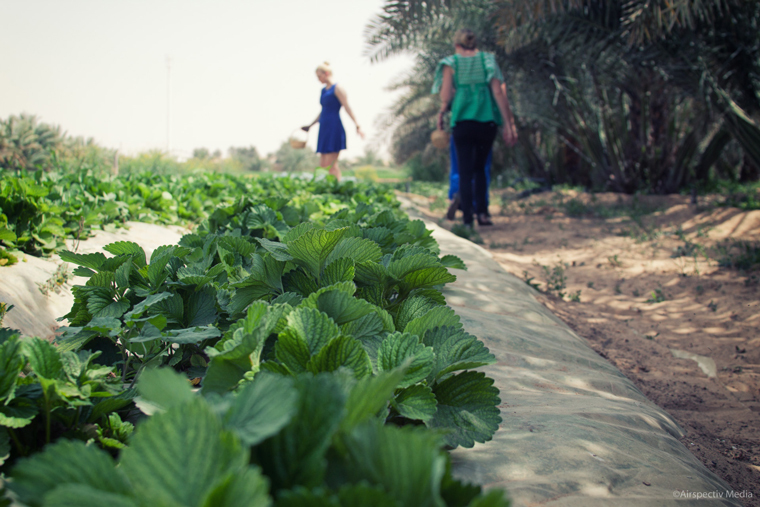 The person who first planted this desire to visit local farms in my head was Laura Allais-Maré, the founder of Dubai’s Slow Food chapter. 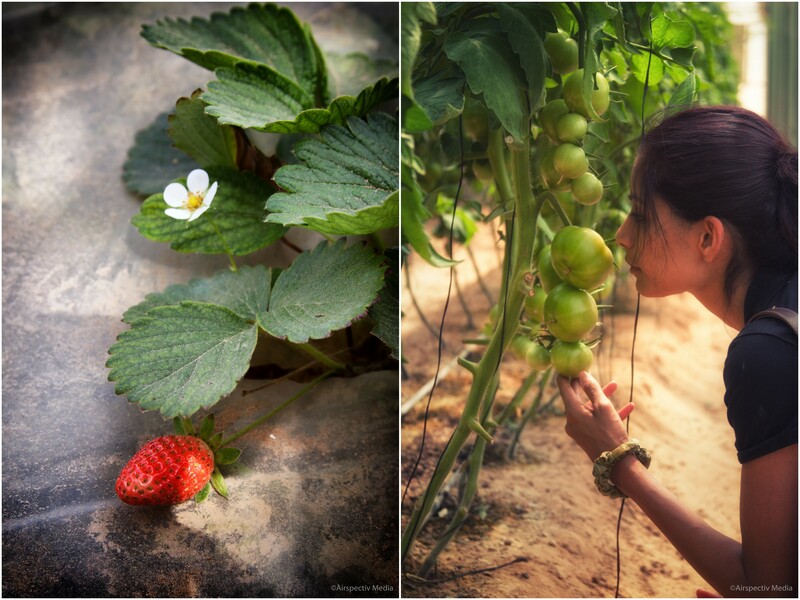 I followed her like a wide-eyed puppy into a local farm in Fujairah back in December - and since then, I have been waiting for another farming expert to toss me a bone again. 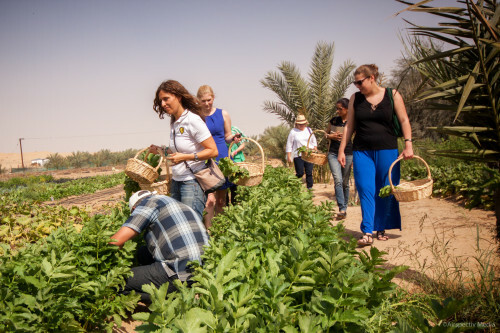 This is an important time in Dubai, a time when the leaders of the LOaF movement are not just advocating the usual buzzwords, but they are throwing open the gates of local farms as an education ground for knowledge-seeking customers. 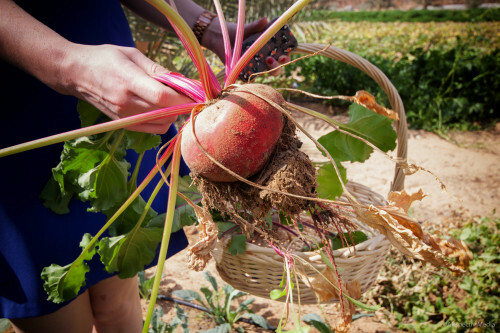 Being on a farm plants questions in your mind that rarely sprout up while you are bagging your beets at the market. It was not until our small group of writers tugged out heirloom golden beets from the earth that we knew to ask what pre-1950’s heirloom seeds are, and why they are different from hybrid seeds that currently rule the markets for their hefty volumes and consistent yields. This is a subject on which Elena can probably offer an entire semester-long course if you are a willing student, and if she ever did offer it, you can be assured that I would take the front seat in her class. Heirloom seeds are like senile grandparents – full of goodness and weathered by the test of time, yet erratic in ways that commercial producers would not tolerate. They are not programmed to sprout at the same time, a result which can be particularly unnerving for wholesalers who need to guarantee volumes and timing of supply. 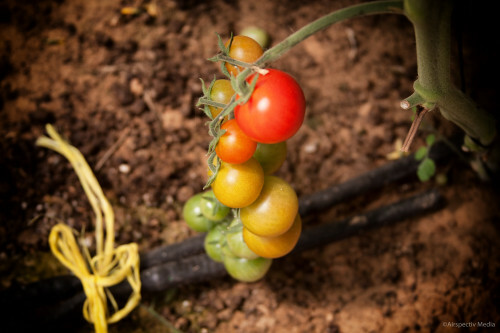 Especially when planted on foreign soil, heirloom seeds have a far lower yield in the short-run if you rely on nothing but nature and evolution to help you protect them in the new surroundings. 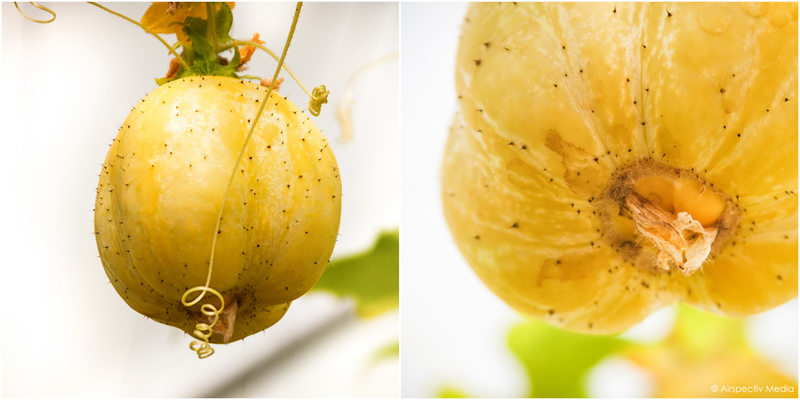 Without any chemical intervention, heirlooms seeds gradually have to adapt to their environment and build natural immunity. Try explaining that to a supermarket chain buyer when you lose 60% of your capsicum crop to pesky grasshoppers. But Elena is clearly in the green game for the long-haul. Greenheart Organic Farms has chosen to let long-term evolution take priority over short-term yield. As an entrepreneur myself, I cannot help but wonder whether this strategy will help pay the bills and keep them going. I hope it does, because if what Elena says is true – “it’s all in seed. You have to acclimatize them to these conditions.” – then the wait for more desert-hardy seeds will be worth it. Seeds are only one part of the equation. At multiple points through our farm tour, Elena stresses on the importance of “building soil.” Greenheart uses manure from the animals feeding on nutritious alfalfa on their own farm and does not rely on manure from third-party vendors for fear of what is being fed to the animals. Controlling what the animals eat translates into, simply put, organic poop, which then enables you to set up a 100% organic growth cycle on the farm. 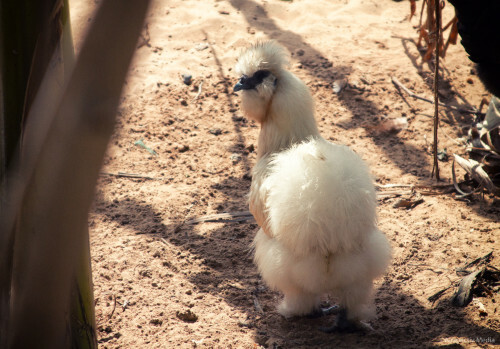 Is it a hen? Is it a poodle? No, it's a Hoodle. All this might sound a bit obsessive to the busy customer who just needs his swathe of lettuce for dinner tonight, but when you tour the farm with Elena, that obsession emerges as nothing short of common sense. Not building the soil will eventually leave the land barren and back to its bleak desert state – a case that Elena has seen in surrounding areas that were once farmed but now desolate. 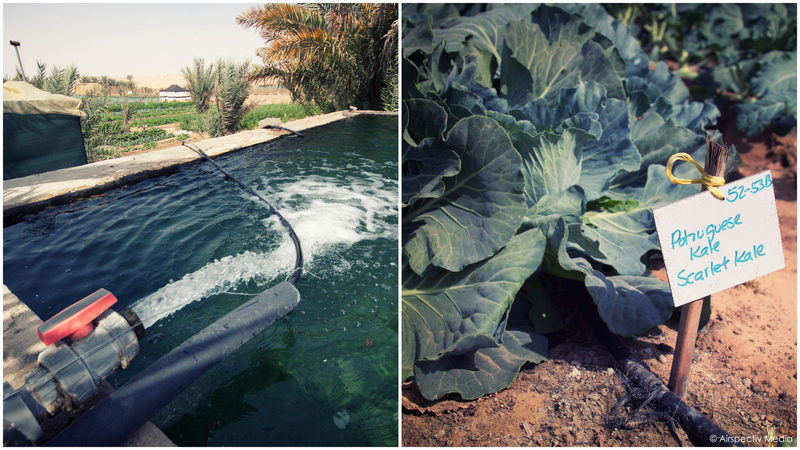 The topic of watering the plants causes another set of informational floodgates to burst open. As we peek over the high walls of the water tank, we learn about the differences between sweet water (or fresh water or water that is of drinking quality) and salty seawater. Red dragonflies, oblivious to Elena’s passionate water discourse, flit about the frothy sweet liquid as it gets pumped out of wells in the vicinity and gushes out into the tank. This water will be channeled through a drip-irrigation system into soil ‘built’ up with organic matter, soil that will effectively trap water rather than offering it up as vaporized bait for the sun. There is no doubt that this well water will be given the respect it deserves. While Elena is not currently offering a farming course for ignoramuses like me, Greenheart is finally launching a regular program for farm visits during the cooler months. She is a fountain of knowledge, be it on building soil, conserving water, companion planting, planting for seeds rather than commercial sale, heirloom seeds – she will put questions in your head that never existed at all. You leave the farm with shoes caked in sand and brains caked in information. 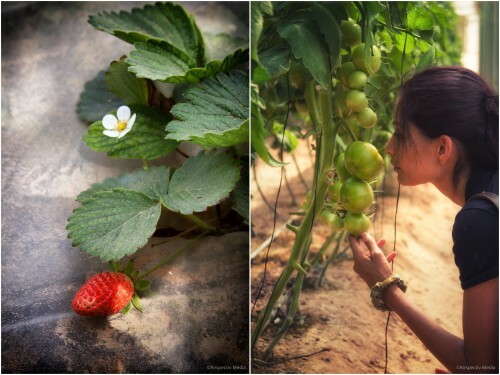 This is an incredible form of experiential learning, and I hope that every mother takes her child to the farm so they understand that strawberries do not grow in plastic cradles. We are nearing the tail end of this growing season and Greenheart’s farm visits are already over-subscribed, but I would urge you to get in line for a farm trip for the growing cycle next fall. I hate to sound selfish, but I am so painfully aware of my ignorance – and so enamoured by the ruby cherry tomatoes that burst into sweet citrus juice in my greedy mouth before they could make it to my basket – that I am already elbowing my way back into that line. 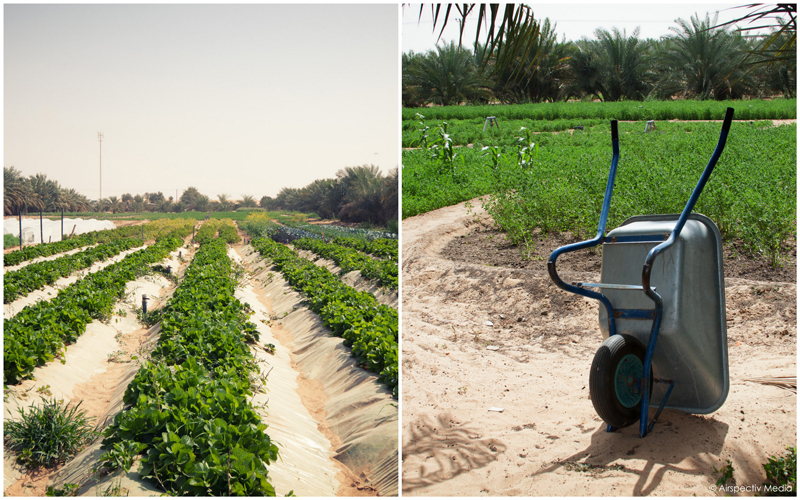 Organic produce straight from the UAE's greenest of farms, The National, February 2013. Making a difference by growing greens, Friday, June 2010. ← Older: The crunchiest Jalebi you can find in Dubai. Great post Arv! Thanks for sharing your perspective. A great write up on a subject that needs to be shared. I have my own reservations on how many actually ‘believe’ in the movement and how many actually talk about it because it is a ‘fad’. Either way, I am happy that people like you are writing about it, people like us are reading about it – even if a percent trickles down – great job! Very informative post Arva. Their produce is wonderful and it’s nice to read a bit more about this farm. Thanks Irini, glad you’ve enjoyed their produce in the past! The urge not to waste a single mouthful of food once you experience the time, trouble and precious resources that go into its production is something I believe in passionately. Okay, if MyCustardPie approves of my acronym, we’re making this baby official. You’re so knowledgeable about this subject, and the one who planted the seeds of ‘informed inquiry’ into my mind in the first place. Thank you as always, my mentor-friend-LOaFAdvocate. Funny how I just received a mail on a class action suit against Trader Joe’s for deceiving consumers on labelling products as “100% natural”. Okay, I know that these corporations have responsibility towards their consumers. BUT I think that consumers should own up and be smart. How can you believe that something out of a box and not made by you is 100% natural? Seriously? Oh and let’s not even get into wasting food. Its such a sad sight here in the US. So many hungry people and you see how they just throw out so much food, whether natural or otherwise. Didi, good to hear your thoughts! I’ve fallen into the trap of 100% natural so many times, and still probably do. But this visit was a good reality check and shows that if you really care, you’ve got to take time out to…maybe not have your own farm…but at least learn about making the right choices. Arva, you had me laughing at “Hoodle.” I am very thrilled that others will get to see what a local farm is like when Elena launches her tours. As a farm girl, I support all initiatives that make people understand how their food reaches to their table. 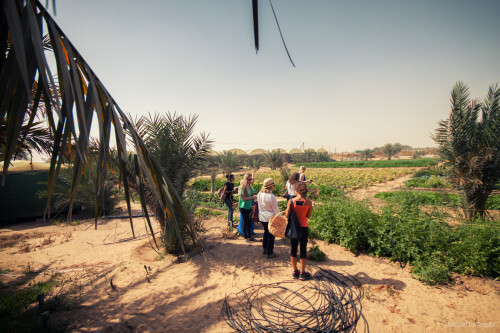 I posted my trip to Al Shuwaib Organic Farm some years ago and it was a revelation to me when I went as to how genius local farmers are to make the best of the land they are blessed with. Fantastic post. Thanks Chef and Steward! Farm children really have a heightened appreciation for produce and flavours, so lucky you. And that poor but super cuddly Hoodle…I wonder what it’s up to now. Probably rolling around the farm like a snowball. Freaks of nature really are the cutest. What is the location of the farm please? Is the tour free? We are a homeschooling group and would like to take our little ones on a tour. I would appreciate more details on a tour in the next week or two if possible please. Please include cost, duration of tour and what we could expect. Our children’s ages range from 4 -8 years. Good evening. can i ask something? What is the email and direct number of this farm? Because our shop need a supplier of organic fruits and vegetables as soon as posible. Thank You!